Whether you’re seeking the challenge of game fishing or the more peaceful activity of fishing on a river or lake, you’ll find it in St. Augustine, Florida, along with everything in between. 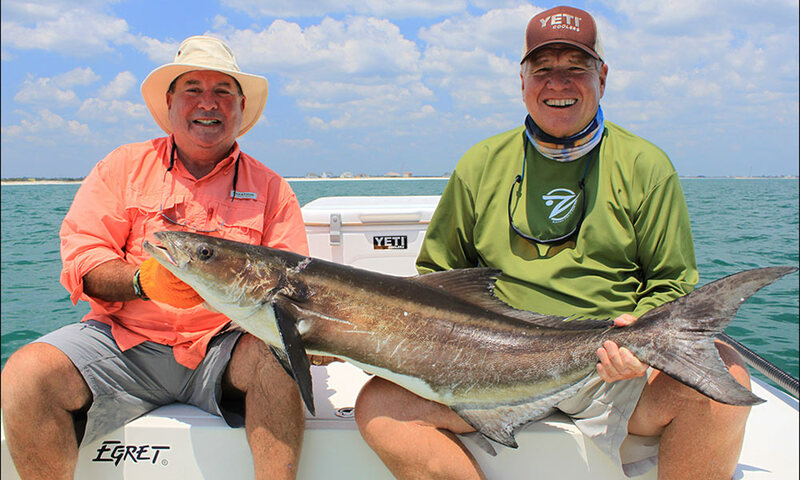 You can fish from piers and bridges, from skiffs and kayaks, from deep-sea charter boats, or surf fish right from the beach … the range of fishing opportunities along the northeast Florida coast attracts anglers from all over the world. Over 8,000 miles of shoreline are just part of what makes the state of Florida the “Fishing Capital of the World.” Year-round warm weather and the diversity of recreational species, both freshwater and saltwater, found in the state are huge factors as well. Consistently ranked No. 1 in number of in-state anglers, angler expenditures, economic impact, and international fishing record catches, Florida’s claim to fishing fame is unrivaled. The quirky little city of St. Augustine has its own claim to fame: its long history as a desirable place to settle, which has a lot to do with the abundance of native wildlife in the area. The city was founded on September 8, 1565, by Pedro Menendez de Aviles of Spain. That was more than 450 years ago—an important milestone that was celebrated city-wide in 2015. Spain wanted a military outpost on the northeast Florida coast that could protect its treasure ships as they sailed back home along the Gulf Stream. Menendez chose this particular spot because of its secluded and defensible harbor and the rich resources provided by the ocean and inlets that could sustain his people during the early settlement’s difficult times. Even before the Europeans came to the area, the Timucuan Indians lived on the land, fishing and hunting manatee and alligators in the many rivers and bays. Native American tribes, Spanish conquistadors, Minorcan settlers, pirates, soldiers, tycoons of the Gilded-Age, and now streams of tourists and students of history … the actors on the human stage may change, but the wildlife remains pretty much the same. Redfish, drum and snook still run in the inshore waterways, bass still jump in the lakes and rivers, and amberjack, dolphin, and tarpon still ply the ocean waters. If you want to experience the very best of Florida fishing, you’ve come to the right place. Central Florida is famous for bass fishing, and that reputation extends all the way to the freshwater areas of its eastern counties as well. In fact, one of the most prestigious bass fishing tournaments takes place in Palatka, Florida, about 26 miles west of St. Augustine. Largemouth bass, black crappie and bluegill are the St. Johns River’s major attraction for freshwater fishermen. But several species of saltwater fish can also be found in the upper regions of this north-flowing river, due to the influence of tides which bring brackish water back into the river, creating an estuarine ecosystem that extends south for quite a distance. The reason the tidal surges travel so far upriver is the low flow rate of the St. Johns River (only .3 mph), which is in turn due to the very small drop in elevation from the river’s origin (just 30 feet above sea level) and its mouth at sea level in Jacksonville. As a result, the upper region of the St. Johns River is a prime area for fish like seatrout, redfish, and flounder. There are three fishing piers on the historic Bartram Trail (County Road 13) along the river in St. Johns County—the Alpine Groves Pier in Fruit Cove, the Riverfront Park Pier, and Shands Pier in St. Johns (see the map of fishing piers below). Fishing piers and bridges can be found throughout the St. Augustine area, from its beaches, inlets, and Intracoastal waterways on the east to the St. Johns River at the western edge. Proper fishing licenses are required at all of them. Fishing licenses can be purchased online here, or by calling 1-888-FISH-FLORIDA (347-4356). A great spot for visitors to enjoy fishing without a big commitment of time or money is the St. Johns County Ocean Pier on St. Augustine Beach. Because the pier maintains a fishing license with the state, it isn’t necessary to purchase a separate license when fishing here — the license is included in the fishing fees. Fishermen can bring their own equipment or rent a pole at the bait and tackle shop. Fishing fees for non-residents are $3.00/adults and $1.50/children. Call (904) 209-0326 for more information. The St. Johns County Ocean Pier is open daily from 6 a.m. through 10 p.m. Restrooms and outdoor showers are available at the Pier, and there’s also a playground, a splash park, bocce courts, and a farmer’s market on Wednesday mornings, so there’s plenty for the whole family to do. The Vilano Beach Pier (pictured above) is located on the Intracoastal Waterway, facing back towards St. Augustine. The town of Vilano Beach feels like it got stuck in time in the 1950s, with a retro design and laid-back attitude that extends to the atmosphere at the pier. It would be hard to find a more relaxed or informal spot to do some fishing, soak up the sun, and enjoy the views. Other fishing piers in the area include Lighthouse Park on Salt Run, the Rose of Sharon Pier just north of the Bridge of Lions on the mainland side, and the Usina Boat Ramp Fishing Pier on the Intracoastal just north of Vilano Beach. Some county and state parks also feature fishing piers: Treaty Park’s pier is on the lake in the center of the park, Vaill Point Park has a pier along Moultrie Creek, and Faver-Dykes State Park offers a pier for fishing on Pellicer Creek. A couple of St. Johns County bridges are known as great fishing spots. The May Street Bridge, located on the south side of May St. (A1A) on the east-bound approach to the Vilano Bridge, is an ideal location for inshore fishing. South of St. Augustine, the Matanzas Inlet Bridge is a productive and popular spot, with lots of fish to be found in the fast-moving waters of the Matanzas Inlet. But if you’re out on the flats on the Matanzas, Tolomato or Guana River, watch out for the oysters. Their shells are razor-sharp, and can cut right through a flimsy shoe. Only very sturdy shoes can protect your feet, and when fishing with a canine companion, it’s important to keep him or her in the boat while poling through the shallow waters of this area. 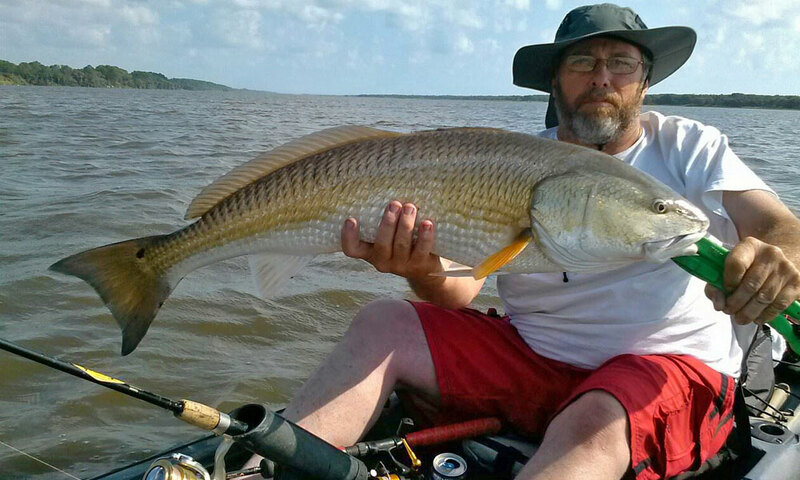 Fishing the flats can be quite exciting, whether you’re fishing for trout with light tackle or sight fishing for redfish during a flood tide when the fish go right up into the grass. There’s a surprising variety of fly fishing in St. Augustine as well, including blind casting for trout and casting for schools of jacks or ladyfish. One of the most popular spots for inshore and fly fishing is Salt Run, which cuts into the northern part of Anastasia Island. This protected inlet is an ideal spot to fly fish for redfish. The adjacent Anastasia State Park provides tons of recreational resources as well, including canoe and kayak rentals. Easily accessible inshore fishing can also be found at the Guana Tolomato Matanzas Estuarine Research Reserve, which is located eight miles north of Vilano Beach. The Guana River Dam Use Area is open daily for fishing. Choose the north side of the dam for freshwater fishing or the tidal waters on the south side to fish for saltwater species. Watch the tides on the tidal side to prevent getting stranded in low-tide conditions. 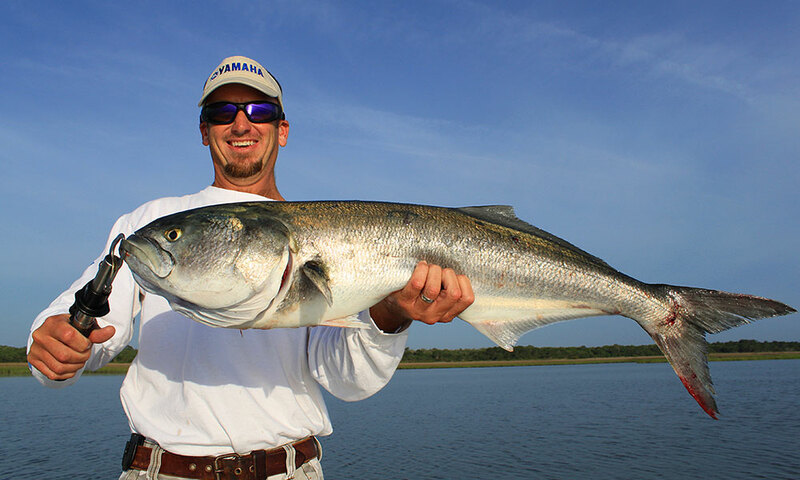 St. Augustine boasts a large tarpon fishery, especially from June through September. One of the most spectacular fighting fish around, tarpon can be found just outside area inlets and in nearshore waters along the beaches. Live bait is normally used, but in the right conditions some fishermen can catch tarpon on a lure and even on a fly. Several charter guides in St. Augustine are specialists in fishing the flats and creeks off the Intracoastal. They know the hot spots for trout, redfish, snook, and black drum, and they also know when they’re biting and what to catch them on. Here are just a few of the many excellent fishing services in the local area. The wealth of shallow-water fishing opportunities in St. Augustine have made it a popular destination for kayak fishing. This wonderfully peaceful and noise-free activity offers a genuine experience of the natural world. Fishing from a kayak can open up new opportunities as well, since the kayak can go into nooks and crannies of the waterways that other boats can’t get to. Canoes and kayaks are available for rent from several outfitters around the city (see list of rentals below). 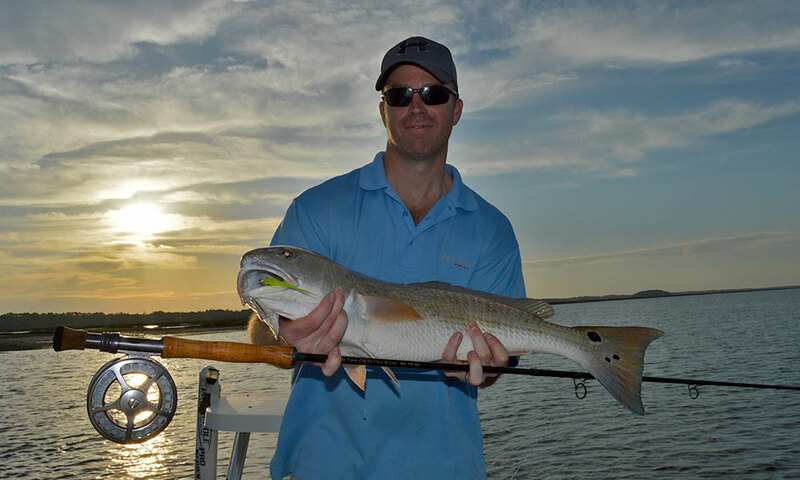 Artificial lures and a spinning rod are all a vacationing fisherman needs to bring to be able to hunt redfish like a pro. Serious anglers who bring their boats with them on vacation can find a complete list of all St. Johns County boat ramps by visiting here. Some of the more popular ramps are listed on the map below. Surf fishing requires different equipment and a strong arm to get the cast out beyond the breakers. But with a little knowledge of what’s running at that time of year and what bait and rigs to use to catch it, surf fishing can be extremely productive and a whole lot of fun. From the pristine beaches of the Guana Tolomato Matanzas Reserve in Ponte Vedra to Anastasia State Park, St. Augustine Beach and south to Crescent Beach, surfcasters will find rich opportunities to catch drum, whiting, pompano and more. Local bait shops can help visitors decide if this is a good time to try something new, and some offer surf fishing equipment rentals as well. In addition to the bait shops located at Devil’s Elbow Resort and Genung’s Fish Camp listed above, many marinas offer bait and tackle, and there are a couple of retail locations that specialize in fishing services as well. Nearshore and offshore fishing is done in waters between 20 and 100 feet deep, usually 10 to 30 miles offshore in the Atlantic. The nearshore reefs and ledges (including shipwrecks!) nurture a variety of snapper and grouper species year round, with cobia, amberjack, and black sea bass plentiful depending on the season. 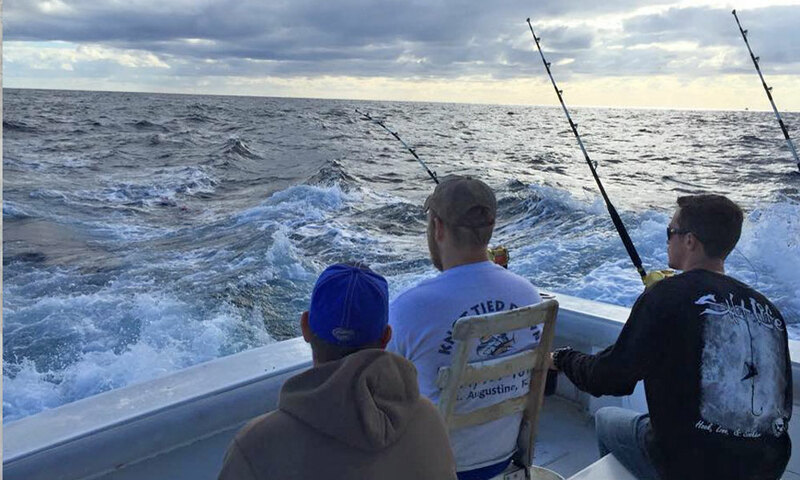 Farther out, fishermen will find more trolling action, especially in the spring, as pelagic species like blackfin tuna, wahoo, mahi mahi, kingfish and sailfish come through this area when they migrate. 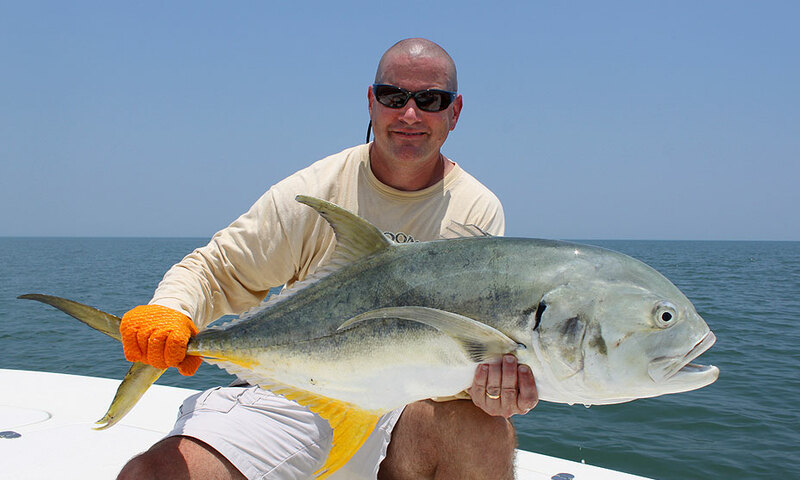 For visitors who’d like to try offshore fishing, a professional guide is really a must. Charter fishing captains provide everything, from the boat itself to all the fishing equipment, including bait, and, most importantly, the expertise. It’s all in the details—what speed to troll at, whether to use live or artificial bait, what weights to use to keep the lure at the desired depth, and much more—and only experience can provide that knowledge. Here are just a few of the many fine offshore fishing charters services in St. Augustine. For a complete list of charters and all things fishing, visit here. ¼ teaspoon each of marjoram, savory, basil, thyme and rosemary. Melt butter with 2 tablespoons water and lemon juice. Place fish fillets flesh side up on rack of broiling pan so they will be four inches from heat and baste them with butter lemon sauce. Cook 15 minutes, basting every 5 minutes. Remove fish from broiler, cover to keep hot. Scrape particles clinging to rack into liquid in pan below. Place pan on medium heat on top of the stove and add ½ cup water and herbs. Simmer at low heat for 2 minutes. If desired, thicken sauce with ¼ teaspoon cornstarch dissolved in a little water. Serve sauce on top of fish fillets. Preheat over to 350 degrees. Place red snapper pieces skin-side down in single layer in a well-greased baking dish. Melt the butter or oil and mix with orange juice, orange rind and seasonings. Pour over fish. Bake for 25 to 30 minutes or until fish flakes easily when tested with a fork. Garnish with watercress and orange slices. Be the first to comment on Fishing in St. Augustine!